Unfortunately I don’t have time to write a full post tonight, but since this seemed so timely I figured I should just share it with you all asap. The online “computational knowledge engine” Wolfram|Alpha announced today that it can now analyze Shakespeare’s plays. 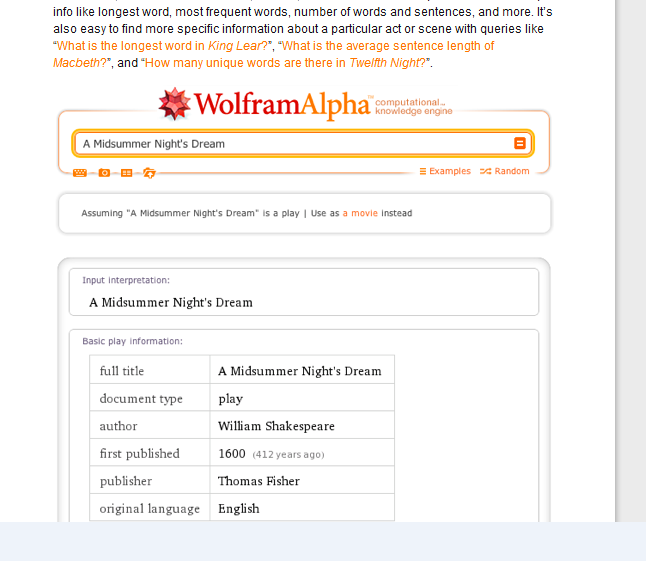 Screenshots from searches on Midsummer Night’s Dream, Romeo and Juliet, Julius Caesar, and other plays demonstrate the kinds of information you can expect Wolfram|Alpha to return for your queries. Definitely worth a look, even if you only skim the post. 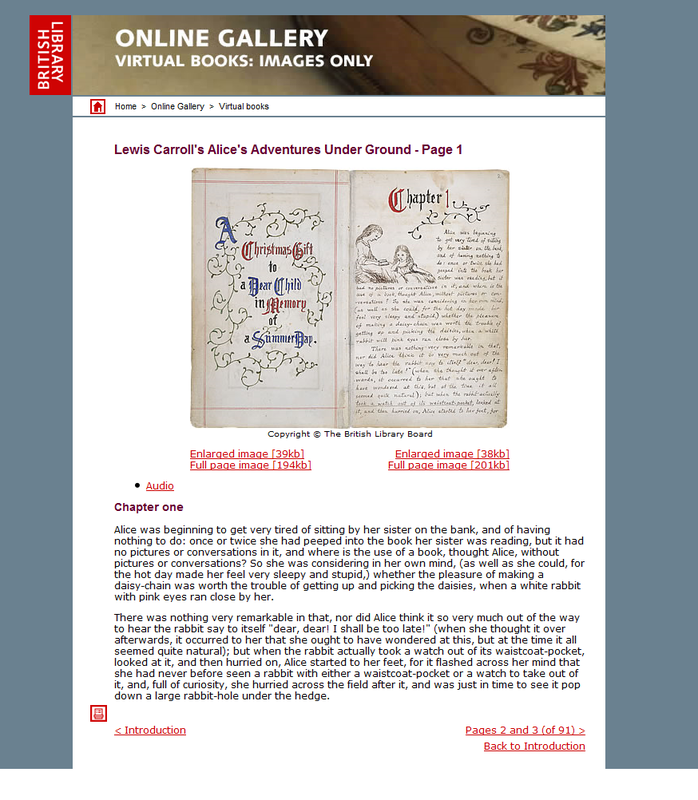 Also note that they do have one British C19 text in their database at the moment (Great Expectations) and they’re soliciting suggestions for what other texts ought to be added. What would you ask for? Does this seem like a useful (by which, of course, I mean “provocative”) tool?